Daily Mirror - Clash of two titans: What next? Clash of two titans: What next? Will Ranil and Maithripala go back to 2015 or part ways once again? 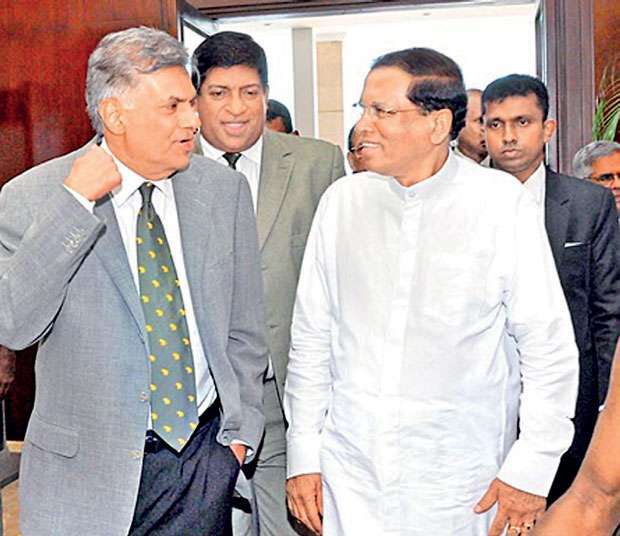 The ideologies of the United National Party (UNP) and Sri Lanka Freedom Party have shaped the political experience of both Maithripala Sirisena and Ranil Wickremasinghe. These ideologies, experiences and struggles for dominance over the other have been the root cause of these recent confrontations. True we got over one critical undemocratic act of the president and the president has now restored the status quo. As anticipated, what we encountered on the day the prime minister was sworn in once again was only the beginning. By all account, the political saga is likely to continue for a while, unless the United National Front (UNF) makes a genuine effort to engage the president and show some positive results. Whatever the criticism may be and he deserves many of it, for his undemocratic act that shocked the nation, Sirisena has a good understanding of what is happening on a daily basis in rural Sri Lanka, where majority of our people reside. He has repeatedly asked for greater support for small and medium enterprises (SMEs) as their development directly improves the livelihoods of lower middle class Sri Lankans and wanted his government to actively create avenues to support SME investment, including providing tax concessions where possible. Credit for SMEs from banks has been in short supply according to the president, where loans and other long-term funds have generally been hard to come by for many reasons. Therefore, support for SME agriculture, healthcare and education has to be bumped up according to him. Education is another key sector that needs new investments. Technological innovation in the educational sector will produce ‘bots’ or robots that can teach and answer questions in real time as automated student advisors; this will take place within the next 10 years. The country is not geared to support such innovations. Therefore, the specific sustainable development goals to be adopted must be made clear. Sustainable development requires sound economic governance and a focused domestic policy framework to facilitate inclusive growth and thereby advance the economic, environmental and social welfare of all our people. We need measures to reduce extreme poverty in many of our regions, along with broader development. But much work remains to be done because better growth is contingent on strong and sustained domestic reforms. Structural weaknesses such as poor infrastructure, low investment in education, low productivity and huge social deficits, unless addressed, would prevent us from realizing our full growth potential. The important lesson of recent decades is that although economic growth is vital and necessary, it is not enough to create shared and sustainable prosperity. That requires shifting the focus of development policies to address not only ‘inequalities of income’ but also ‘inequalities of opportunity’. This distinction is important because different kind of deprivation reinforce each other. Lack of access to adequate healthcare, basic nutrition, clean drinking water, better sanitation and quality education, for example, can harm people’s employment prospects, widening the gap even further between the haves and have-nots and creating a vicious spiral of inequality. For sustainable development to succeed, growth must be made more inclusive by addressing social and environmental deficits. It is essential for the government to launch integrated and well-designed packages of inclusive policies to boost opportunities for productive employment and job security, equitable access to finance and to provide adequate access to basic services, such as education, healthcare, energy and water. From now on, for Sirisena to support the UNF government, the package of reforms needs to be very clear. There should be no additional taxes passed on to the poor. Wasteful and unproductive public expenditure has to be curtailed; public institutions have to be more efficient and demand-driven; public enterprises have to be on equal-footing with private enterprises when it comes to managing and our debt burden has to be reduced and be manageable. Tax collection has to be fair and efficient. Then for years we have lived on a fragile exchange rate. Weak external finances clearly show the vulnerability of our exchange rate. In the current account of our balance of payments (BOP), it should be the export potential that reflects the country’s productive strength. But our net exports show a deficit, which is covered by worker remittance. In the financial account of our BOP, foreign direct investment (excluding G to G) is less than US $ 1 billion but external debt liabilities are over US $ 32 billion, grown by 23 percent year-on-year. These are surely not signs of economic and social prosperity but sheer incompetence and mismanagement. All this needs to change. 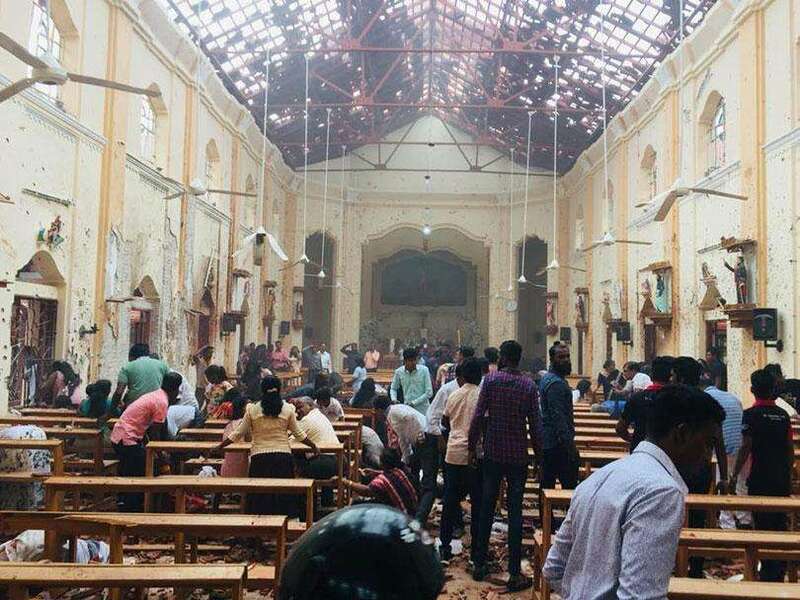 Unless the government initiates a clear course of action, nothing will change in the country and Sirisena will not watch in silence, if the government continues like in the past with the UNF cronies (identified by him publicly).